I accidentally stumbled upon this recipe a few years ago when I was looking to add a homemade biscuit recipe to my baking abilities. The awesome thing about it–well besides the fact that they are amazingly delectable–is the fact that the recipe was published in my hometown paper in 1933. So cool! If you are still using the canned biscuits–you’ll not only find the recipe just as easy to pull together, but about 100 times more flavorful. They are light and fluffy–with that always sought after layered effect. 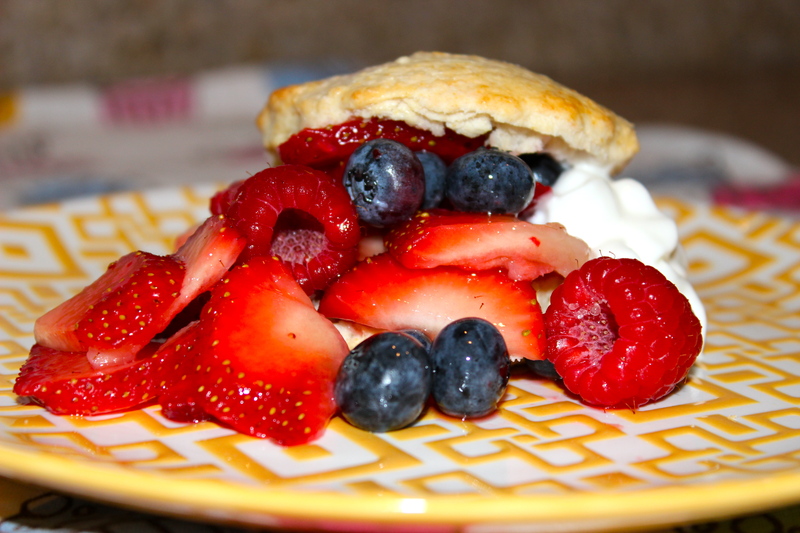 They are perfect with a little honey & jam, a great biscuit for my midwestern husband’s fav–biscuits and sausage gravy, but also great for berry shortcakes. Sift flour once, measure, add baking powder and salt, and sift again. Cut in shortening. Add milk gradually until soft dough is formed. Turn onto slightly floured board. Roll 1/2 inch thick and cut with 2-inch floured biscuit cutter. Bake on ungreased baking sheet in hot oven (450 degrees F) 12 to 15 minutes. Source: Calumet Baking Powder ad in the Lewiston, Maine, Daily Sun newspaper, April 8, 1933. The only adjustment that I made to the recipe was the addition of a pinch of cinnamon because I was using them for dessert purposes. I brush my biscuits with my favorite sweet cream coffee creamer to ensure they get that beautiful crust–plus the creamer gives them a slightly sweeter taste. I also skip sifting the flour and they still come our great using my all purpose flour. I’ve never made them with shortening as I always use butter–but I’m sure they’d turn out just as well. I hope you’ll incorporate them into your baking repertoire. For the shortcakes: I sliced strawberries and added raspberries & blueberries to a bowl with a little lemon juice and a little less than 1/2 tsp of sugar (berries are very sweet right now because they are in season–taste them and adjust accordingly). 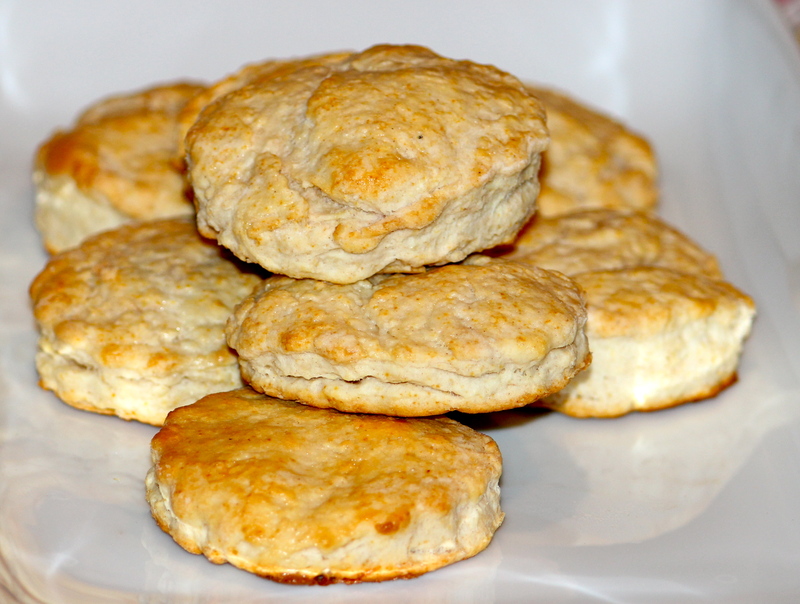 Let flavors meld for about 20 minutes in the refrigerator before spooning over biscuits and serving. Add a little whip cream or serve with vanilla ice-cream. Yumm.